Business process diagrams are specialized types of flowcharts based on the Business Process Model and Notation. Making a business process diagram involves many different elements that can be managed using ConceptDraw DIAGRAM The ability to design Business process diagrams is delivered by the Business Process Diagrams solution. ConceptDraw DIAGRAM supports export to MS Visio 2013 files (VSDX). This allows you to exchange your business documentation with MS Visio users. 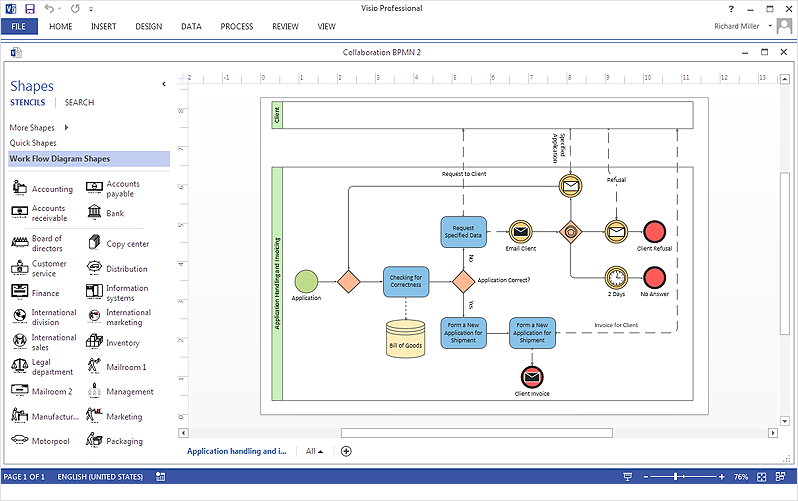 Result: You can easily design a documentation for Business process analysis and avoid difficulties while sharing it with MS Visio users.